Running a 5k with daughter – check! About a year ago, I began to create a bucket list. I had always had some ideas, but hadn’t taken the time to write them down. I believe that we are more likely to meet our goals and go after our dreams if we actually put them in writing. Some of the items on my list that I have already checked off include earning a bachelor’s and a master’s degree, ziplining, running a half marathon, and publishing a book. I have many items left such as visiting Salzburg, Austria, having an in-ground pool, learning to swim well, and meeting some cousins that I haven’t seen since we were little. One of the goals on my list was to run a 5k with a daughter. I didn’t specify which daughter because I really didn’t know whom I could convince to run with me. When Gary and I began running, one of our objectives was to model a healthy activity for the kids. They just thought we had lost our minds. None of the girls had any interest in running. Gary’s son Bryce already runs (and skis, climbs mountains, and a plethora of other super-challenging activities), and Tamara began running last fall. My girls still weren’t convinced that running could actually be rewarding. Morgan actually detested most any exercise that didn’t involve a yellow ball and racquet. After giving birth to her son and trying to get back to pre-pregnancy form, she began exercising. 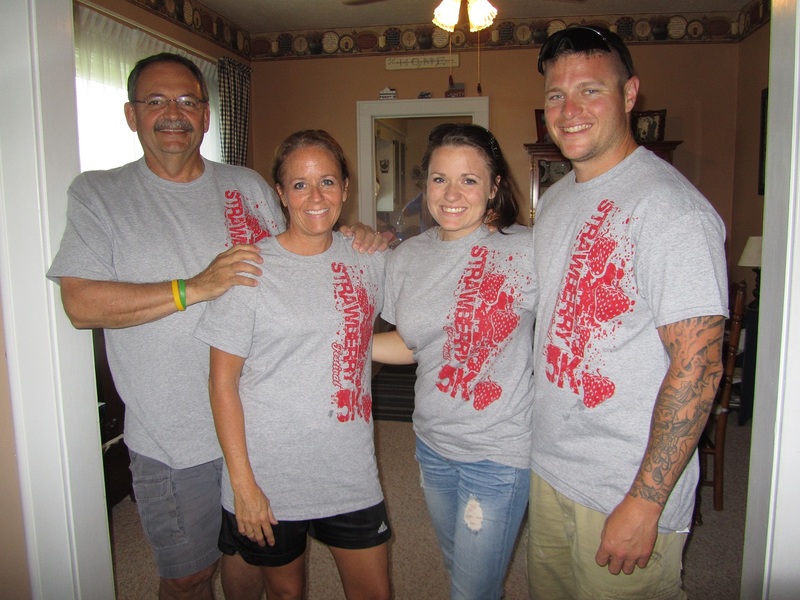 Her boyfriend is in the army, and is into all types of exercise, particularly crossfit, so she had support at home. After the first of the year, she decided to try running. Morgan lives in a rural area in Louisiana, and her road is rather narrow – not ideal for running. She kept at it and gradually began adding some distance. 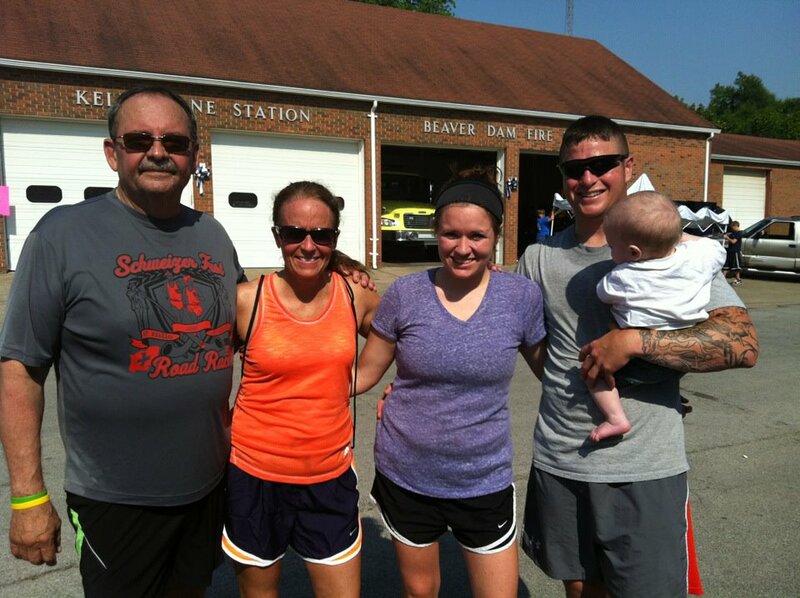 When she could run three miles, she decided she wanted to run a 5k when she was home for Memorial Day weekend. I looked online for a race, but could find nothing in the area. She looked online, and found the Strawberry Fest 5k in Beaver Dam, Kentucky, which is about an hour and twenty minutes from here. We registered. Early Saturday morning, Gary, Kyle, Morgan, and I took off for our first race together. Bethany came along to care for Layne while we ran. 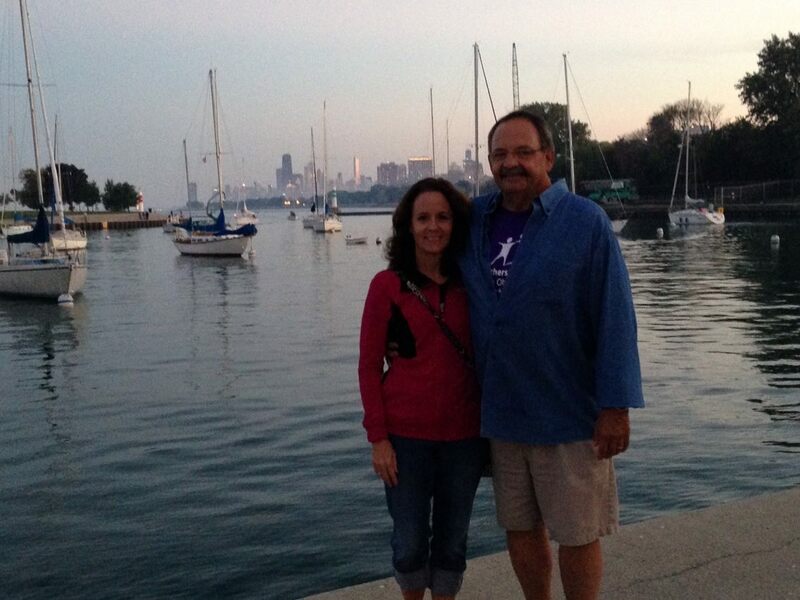 I didn’t know if I should stick with Morgan through the race, or run my race and cheer for her at the finish line. After talking with her, we decided that I would run ahead and see what I could do. I think it would have made Morgan feel pressured if I ran with her, and she said she can’t talk while running anyway. She was clearly nervous while we waited for the race to get started. I remember my first race; I had no idea what it would be like. I wondered if I would finish, if I would be last, if I would puke. I finished; I wasn’t last; I didn’t puke. Morgan had the same thoughts running through her mind. It was finally time to line up. The four of us wished one another well, and lined up. Despite it being 8:00 am, it was already hot and humid. Doesn’t it just figure that the weekend Morgan is to run her first race, we have record temps? After some last minute instructions, we were off. And my hip hurt. I occasionally have trouble with my right hip, so this was not unusual, just uncomfortable. After about a mile, it felt better. I had no major goal for this race; I haven’t been running fast, so I knew I would not PR. I spent most of my time wondering how Morgan was doing. As her mom, I so badly wanted her to feel good about her run. You are NOT passing me, Lady! The picture is a bit fuzzy, but you get the idea! I am not sure why my arm looks so buff; it isn’t. It’s actually getting pretty flabby. 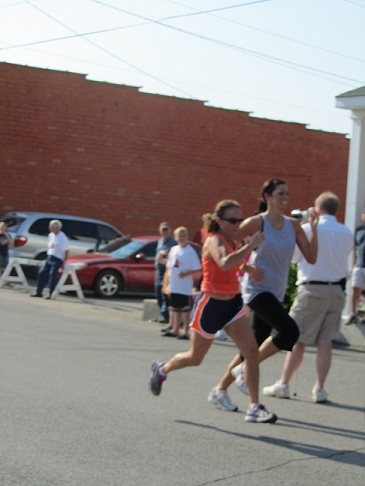 Notice my competitor is younger, taller, and more athletic – but I nudged her out at the finish. Ahh…sweet victory! I crossed the finish line, but am not certain of my exact time. It was something over 28 minutes. I went to a spot to regain my composure and to make sure I wasn’t going to puke. Then it was time to watch for Morgan (Kyle had finished long before I). Bethany, Layne, and I waited for Morgan to come around the final corner. I was so proud as I watched her approach the finish line. She was going to do it! I knew that she would have such an amazing feeling accomplishment, and isn’t that what we all want for our children? I believe her time was just over 31 minutes, which is outstanding. I think she will be more apt to stick with running after experiencing a race. It is so wonderful to see people of all ages, shapes, and sizes running races. It is inspiring to be part of strangers meeting their goals. Morgan didn’t have to walk and she wasn’t last – not even close. She was very proud of her run, and is ready to sign up for more races. Mission accomplished! I think I will add another entry to my bucket list: Run a half marathon with a daughter. Morgan will do it. Who knows, maybe I should just put ‘Run a half marathon with my daughters’. Or I could really stretch it and put ‘Gary and I will run a half marathon with all five kids’. Now that would be an accomplishment! The day after the Strawberry race, my family got together at my sister’s house. Morgan and I decided it would be really cool if we all wore our race shirts. Gary and Kyle did not think it would be cool. They wore them anyway. What is on your bucket list? Write it down and make it happen! My list is a work in progress; as I think of something I want to accomplish, I write it down, then I think about what I need to do to make it happen. I hope when I am 80, I still have goals and dreams – they make life so much more fun! 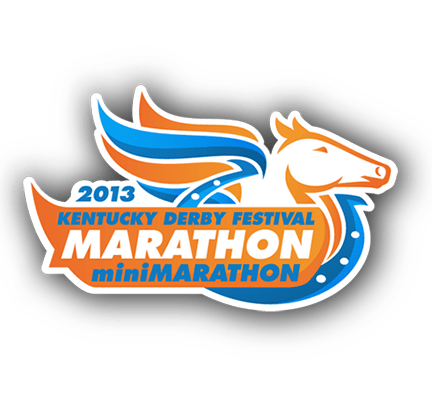 As I was lined up with 18,000 other runners awaiting the start of the Kentucky Derby Festival Marathon/Mini Marathon, I began to wonder how I could describe what it is like to run a mini marathon – 13.1 miles. I know that a few short years ago, I would have wondered why any somewhat sane person would even want to run that far. What fun could it possibly be to run that far? Now that I have experienced it, I get it. Even before the official race day, one can feel the energy building. Gary and I arrived in Louisville Friday afternoon and checked into our hotel. We immediately saw many other runners in our building. 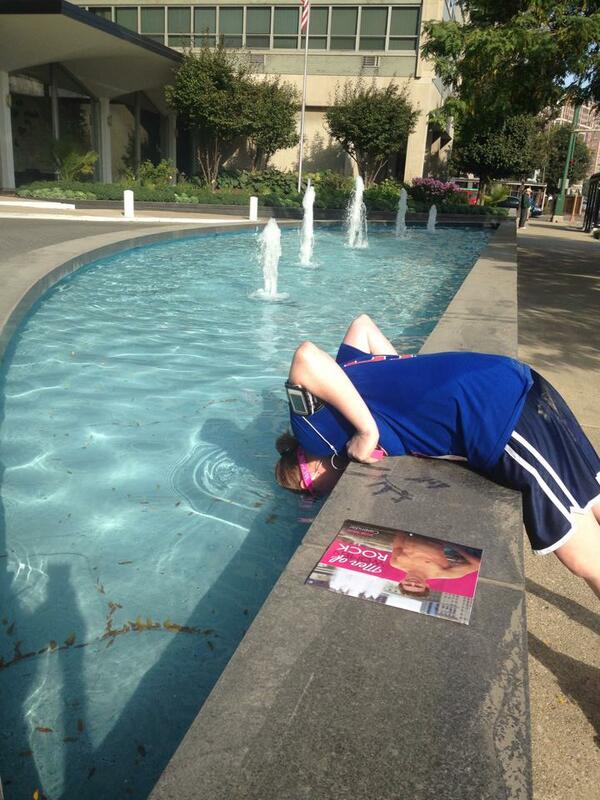 We headed to the expo, and found that the city was filled with runners. We were excited just to be a part of such a big race. Race day morning we awoke before the crack of dawn, donned our running garb, and began the trek to the starting line. The start of the race was 6:30 am our time. I am never much for small talk the morning of any race. My thoughts are on trivial things such as the weather and what exactly to wear, whether or not I will need my sunglasses, if my stomach is going to hold up, and did I pee enough before leaving the hotel room. Gary has learned just to let me be. Despite my obsession over, well, everything, I still took in all the runners around me. The anticipation was building as we marched closer to the starting line. Lining up in my designated corral, I kissed Gary and we wished one another a great run, and then I was on my own. With 18,000 other people. It was crowded! I kept my crowd anxiety in check, and scanned the runners around me. Runners come in all shapes, sizes, nationalities, and abilities, but we all had one thing in common – we all wanted to run our best race that day. For some running their best race meant just enjoying time with friends and checking another race off their lists; for others it meant breaking a personal record; and for those elite runners, it meant winning. There were people running for charities or in memory of loved ones. Some were celebrating recent weight loss. I even saw a few who were celebrating weddings. Once the national anthem began the crowd quieted. We were all enthralled by the emotion of the moment. It was almost time. Our time. A time we had trained for for months. The weather was perfect, the runners excited, and the crowd supportive. The energy of all involved provided the boost I needed to start strong. The gun finally sounded, and the fast runners were off. Me, well I had to wait about five minutes for the not-so-fast runners to begin. And so it began. I embarked upon my journey. I started off fast <for me>, but had decided I would just listen to my body and run fast if I could, and slow down if I needed to. There are many things that inspire and encourage runners along the way. The crowd support in Louisville is incredible. Many spectators hold signs, and I try to read most of them as I run by. My favorite sign of the day was ‘Your training lasted longer than Kim Kardashian’s marriage’. Another thing that kept me going was bible passages. Many runners had scriptures on the back of their shirts, and I seemed to come upon them at just the right times. One of my favorites, which I not only saw a few times during the race, but my friend Amy also sent me before the race, was ‘They that hope in the Lord shall renew their Strength, they shall run and not grow weary, they shall walk and not grow faint.’ Isaiah 40:31. How inspiring that was just when I was feeling weak. I do thank God every run. I am so grateful to Him for the strength, endurance, and good health to complete every run. Along with God, Elvis also provided some much-needed inspiration. And not just one Elvis, but five. I was just running along, when suddenly I spied the five Elvises running ahead. They looked awesome! I ran beside them for a few seconds just so I could say I ran with Elvis. There were also some young ladies who wore small versions of the fancy derby hats, and two female spectators who had put a table on the sidewalk, complete with a tablecloth and a vase with flowers. They were enjoying tea while watching the race. There were small children cheering on parents, and senior citizens reminiscing about their youth. There were also DJs and bands spaced out perfectly. Nothing like a little music to put some pep in your step! After running through Churchill Downs, which is amazing, the marathoners break right, and the mini marathoner head back toward downtown. That’s when it started getting hard. Really hard. I was getting tired, and I was starting to hurt. Thankfully, it was about that time that the police yelled at us to move over…the first of the marathoners was coming through! These two men, presumably Kenyans, were running at about a 6 minute pace – they were flat-out flying! It was just an extraordinary moment when as they passed us, everyone started clapping and cheering them on. I still get teary just thinking about it. The energy from that sight carried me a bit further. It took some serious effort to run the last three miles. I had to keep reminding myself to look up and hold my shoulders back. I kept staring at the ground in front of me, which would cause me to slump. Slumping isn’t good. One cannot breathe properly when slumped over trying to drag her body along. As we ran toward downtown, the crowds grew. I hope they know how much their cheering helps the runners. Whether it’s true or not (in my case it most certainly was not), someone yelling, “You’re looking strong!” makes a runner feel just a little stronger. We finally turned right onto Main Street. Only one half mile to go! I was so tired, and I wanted it to be over. At that point I no longer cared about my time; I just wanted it to end. I pushed hard, and finally crossed the finish line. I had done it! And, of course, I immediately checked my watch – I had beaten last year’s time by over a minute! I was excited, but I also had an overwhelming urge to puke. Really. I didn’t, but it was surely questionable. I grabbed a water, got my token race photo taken, and bypassed the food. No way could I have stomached a bagel or banana at that point. And beer? No way. They had beer at the post-race party. I don’t like beer on a good day, but just the thought of it after the race was nauseating. Apparently I was in the minority because the beer line was terribly long. Gross! My race time was 2:04:11, which is an 9:29 pace. Last year I ran a 9:37 pace. I was beyond thrilled. 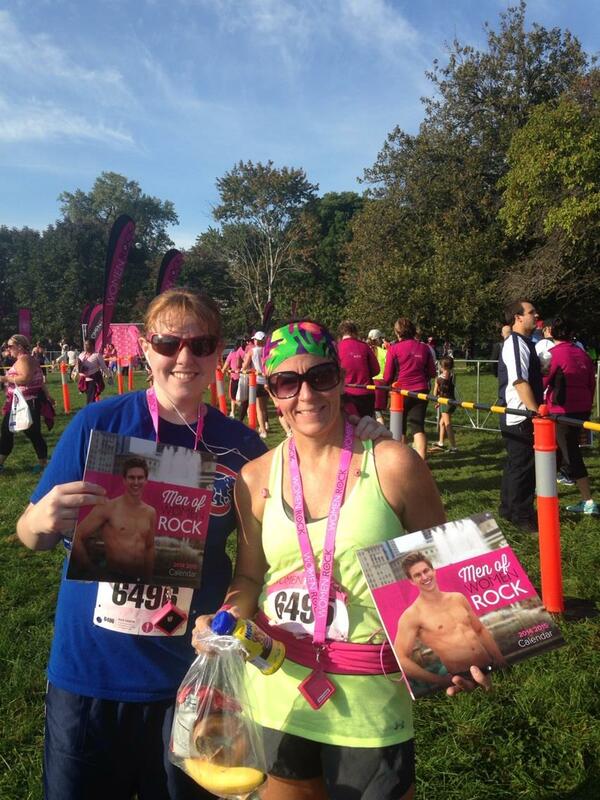 I placed 94 out of 602 in my age group – woo hoo!!! 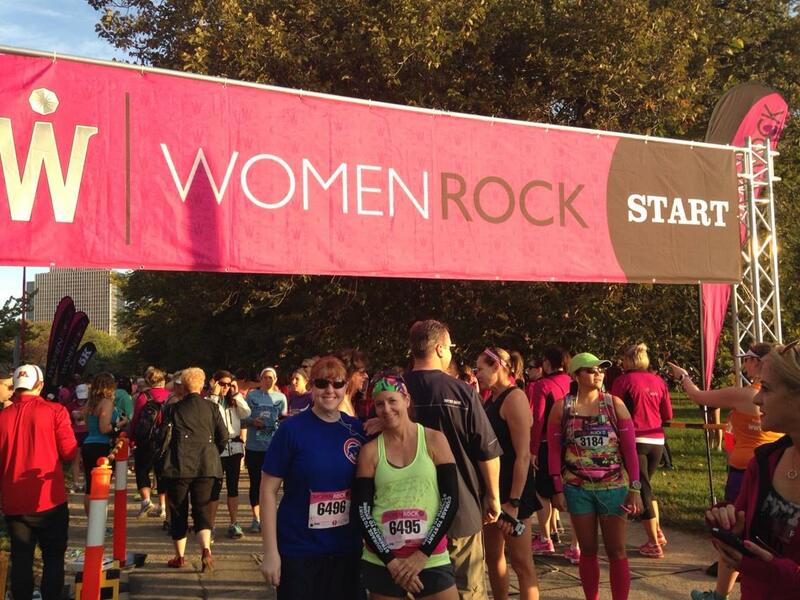 I was 1534 out of 6939 total females, and 4074 out of 12,104 total runners. Maybe 4000th isn’t anything to brag about, but I beat 8000 people! Considering I am not an athlete, and I just started running three years ago, I think I rocked it! A friend of mine recently posted on Facebook that someone accused him of boasting because he posted about his recent weight loss. Really? I’d hate to hear what they’d say about me. Why shouldn’t we all be proud of our accomplishments? I think he should announce his weight loss from his roof top! He worked hard to reach a goal and to become healthier. Yeah! I believe that by sharing when we meet goals, whether it be weight loss, career goals, earning a diploma or degree, or running a race, we can inspire others to continue to reach for dreams and to tackle that which intimidates them. I would much rather read about achievements than read complaints and harsh words about others. We should take pride in living life to its fullest, and continuing to set goals even in later years. We should celebrate with one another and be happy for our friends! I am certainly happy for all who saw their dreams come true in Louisville! I must also ‘boast’ on my husband, who continues to inspire me to lace up. His goal in the mini marathon was to finish in less than three hours. His time: 3:00:02! He was not happy – at all – about those 2 seconds, but he did it! He knocked three minutes off his previous half marathon time. We were both happy with our performances, but gosh, we were sore and tired! We treated ourselves to a steak lunch after checking out of our hotel, and then headed home to hold down the couch the rest of the day. Today we managed to limp into church, and as the day went on, we began to loosen up. Was it worth it? Absolutely. I wish I could etch every special moment along the course into my mind so I could share it with my friends, but there are simply too many of those moments to try to remember. There really is nothing like the camaraderie of running. So what’s it like to run a mini? It’s tiring. It’s envigorating. It’s exhausting. It’s inspiring. It’s painful. It’s fulfilling. It is life-changing.